Pest description and crop damage Several species of armyworms and cutworms can attack caneberries. These are green, reddish, or black caterpillars up to 50mm long. Armyworm caterpillars feed in colonies shortly after hatching; their feeding skeletonizes the leaves. Near harvest, bertha armyworms can cause significant defoliation. 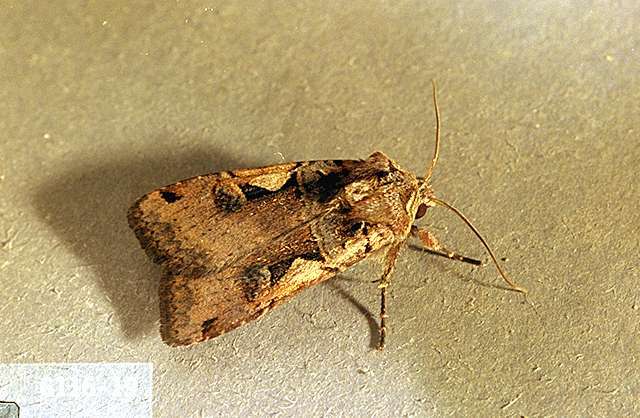 Spotted cutworm is an early-season pest. It feeds on primary buds and can affect yield significantly. 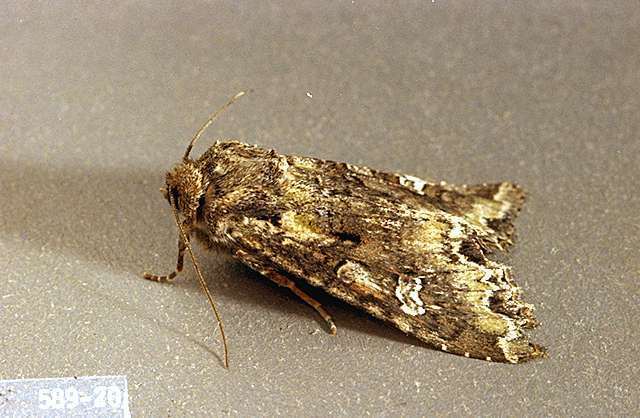 Biology and life history Armyworms and cutworms are the larvae (caterpillars) of noctuid moths. Armyworms typically feed during the day, while cutworms spend the day just beneath the soil surface or in plant debris, and feed at night. 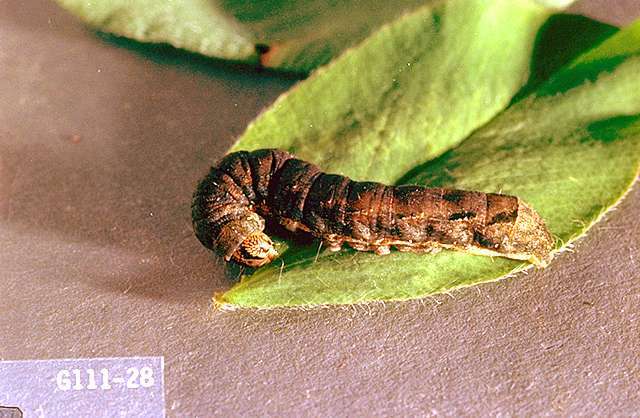 Weeds are the primary food source of cutworms. Control weeds, grasses, and debris that provide cover. Encourage natural enemies of cutworms like birds and spiders. 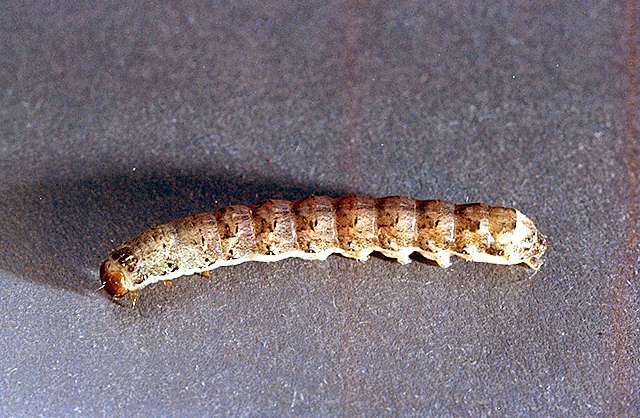 Home gardeners: Hand-pick cutworm larvae, using a flashlight to find them, if practical. Scratch the soil at the base of plants to find larvae in the daytime. Bacillus thuringiensis kurstaki (Bt)-Some formulations are OMRI-listed for organic use. kaolin-Applied as a spray to leaves, stems and fruit it acts as a repellent to some insect pests. Some formulations are OMRI-listed for organic use. Bacillus thuringiensis (Bt) (several brands)-Consult label for rate. PHI 0 days. Do not use DiPel ES with captan fungicide: the mixture will bronze foliage. Some formulations are OMRI-listed for organic use. carbaryl (and other brands) at 1 to 2 lb ai/a. PHI 7 days. Latex-based formulations such as Sevin XLR Plus are less hazardous to bees. Do not use during bloom. diazinon (several brands) at 1 lb ai/a. PHI 7 days. Do not use during bloom. One application per season allowed; as such, consider other pests that may need to be managed with diazinon. Restricted use pesticide. methoxyfenozide (Intrepid 2F) at 0.12 to 0.25 lb ai/a. PHI 3 days. Apply when first signs of feeding damage appear. spinetoram (Delegate WG) at 0.05 to 0.09 lb ai/a. PHI 1 day. Yellowstriped and western yellowstriped armyworms are not controlled with spinetoram. Toxic to bees for three hours following treatment. Do not apply when bees are foraging. spinosad (Success or Entrust) at 0.062 to 0.1 lb ai/a. PHI 1 day. Use higher rate for larger larvae or severe infestations. Toxic to bees for three hours following treatment. Do not apply when bees are foraging. Entrust is OMRI-listed for organic use.